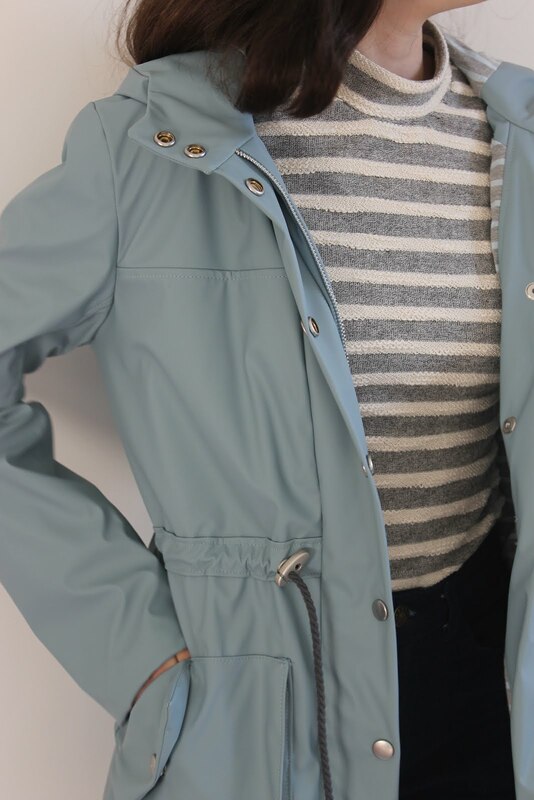 Last week, I talked all about my Kelly Anorak, and just how much I am in love with it! As I mentioned, it was one of my biggest projects yet, and is definitely one of my favourite/proudest makes. It was definitely a step up in my sewing game, and I learnt quite a few new sewing skills. I thought that I would share some of my top tips for sewing a (lined) Kelly Anorak as a nice recap, both for me to remember and for anyone considering making one. I don't think I would have had much clue what was going on if I had just used the pattern instructions. While they aren't bad, I do think that such an in-depth make requires (for me, anyway!) much more detailed instructions. 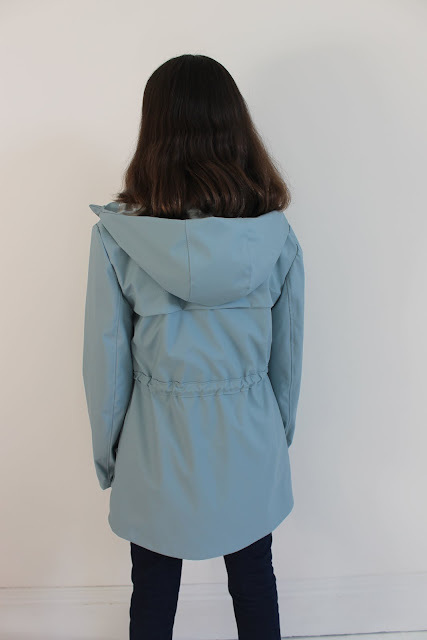 Luckily, a new sew-along was launched on the Closet Case blog at the start of the year, which was perfect timing for when I started making my anorak. A walking foot is definitely not compulsory for sewing an anorak, but I would really recommend one. While they are fairly expensive, I use mine all the time. I mainly use my walking foot for sewing knit fabrics, but found that it was really helpful for sewing with the thicker fabric that I used for my anorak. I also used a jersey lining, so my walking foot was very helpful for that too. I often think that top-stitching is one of those things that will either make or break a garment. I do usually use topstitch thread when topstitching, which is thicker than normal thread, but for my Anorak I just stuck to the colour matching thread for a couple of reasons. Topstitching thread is not available in that many colours compared to normal thread, and while the colours are usually quite good for denims, I could find nothing that was even remotely close to the light blue that I used for my anorak, whereas there are lots of shades for the normal threads. The other problem with topstitching thread is that it can clump quite easily. While I don't find this a problem when sewing on more stable fabrics, I didn't want to risk it with my anorak fabric. Another helpful (but not necessary) piece of equipment is a jeans needle. 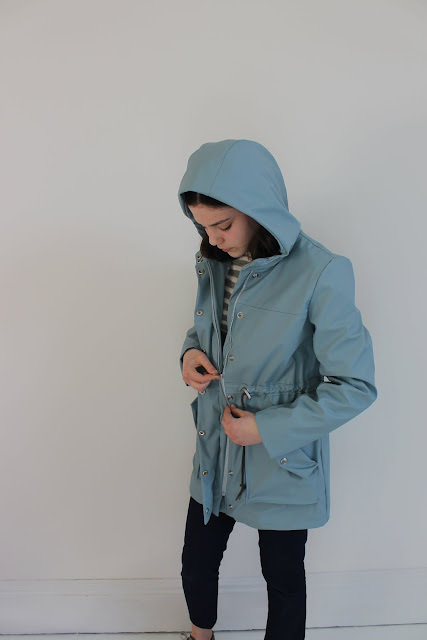 As aforementioned, thicker fabrics (canvas, denim, gabardine, twill) that you might use for an anorak can be tricky to sew and as the Kelly anorak require quite a bit of topstitching it's nice to use something that will give you a bit more accuracy. Ahh... the hardware. 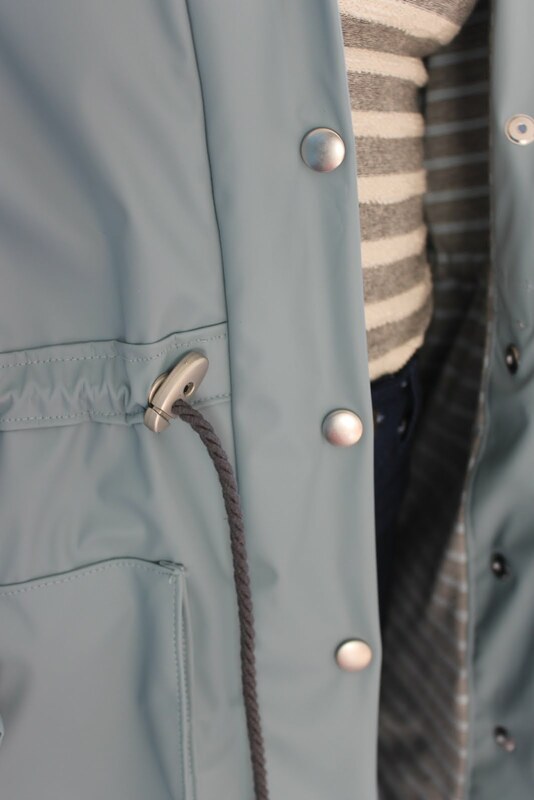 My Kelly Anorak was the first time that I have properly used hardware that isn't just jeans buttons. The anorak requires grommets and snaps, both things that I hadn't ever used before. There is a kit available from Closet Case, which in hindsight could have been helpful, but I decided not to buy it due to the over-seas shipping price and because I had my heart set on a silver finish. I gathered my hardware in bits from different shops, which was quite aggravating but worked out fine in the end. The only thing that I would say is that the Hemline snaps are not good, and I will try to find some others next time (maybe from Prym?). I'll also add that if you're not about to start making anoraks on a regular basis, then try to purchase snaps which can be installed using a hammer rather than a proper tool. You can of course purchase this if you think it would be greatly beneficial to you, but I don't tend to use snaps very often on my garments. There are a lot of steps in making an anorak, and found that another opinion can be really helpful. I found pinning and sewing the waistband casing to be really annoying and difficult, and my Mums help in lining it up and triple checking that it was straight was invaluable! I also borrowed her to install the snaps and grommets, not something that I would dare to do! On a more selfish note, it's also really nice to have someone to show off your anorak to at each stage! Although this might not be relevant for all anoraks, the fabric that I used would not (and I mean not!) iron. This really irked me at first, especially as quite a few steps seemed to involve ironing, but I found that in the end I could get away with some finger pressing. I also flattened the placket by placing weights (e.g. heavy books and tins) along the edge and leaving them there for a couple of days. Even this didn't make a huge different, but it definitely helped. I've also had to accept that the pockets aren't ever going to lay completely flat, which although is something that annoys me I can definitely deal with it! Sewing an anorak is intense. There are what feels like hundreds of steps and pieces. It's easy to feel overwhelmed, so I would really recommend taking a break from sewing just one thing for a prolonged period of time. I made my marigold trousers in between anorak sewing, and the quickly finished project really helped to keep going. 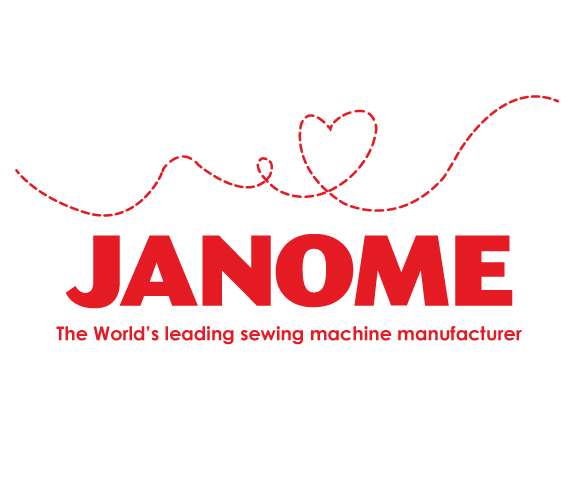 Make sure it's a nice and easy make though, like a pattern you've made lots of times before, there is no point stopping mid-project to start sewing another difficult garment! 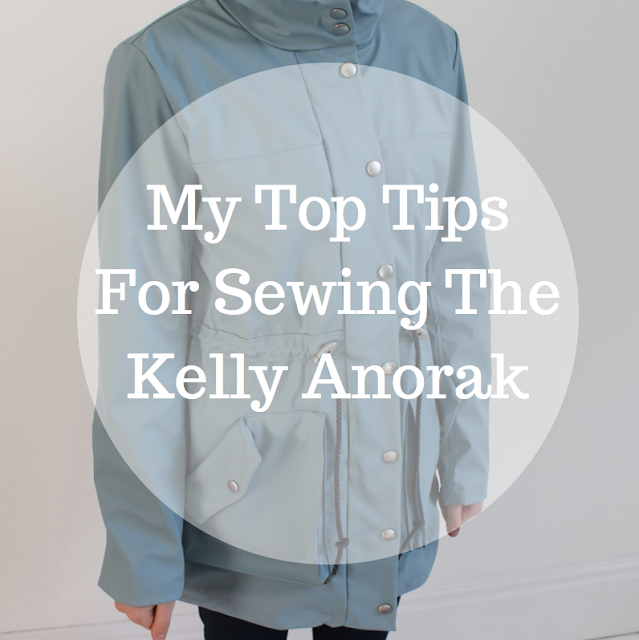 I hope that these tips are helpful if you do decide to make a Kelly Anorak (or any anorak for that matter). I really enjoyed making my Kelly, I would highly recommend making one as a way to push and test your sewing skills. My final tip is to take your time, but most importantly to enjoy it! Thank you for all the tips!!! I wholeheartedly agree with all your tips! !